Sleep apnea and sleep disordered breathing can make everyday life very difficult. Our sleep apnea patients also have side effects like chronic grinding and tooth wear. We’re thrilled to let you know that Dr. Sheri Love offers oral appliances for the treatment and reversal of sleep apnea and related symptoms. What Does an Oral Sleep Apnea Device Do? Each sleep apnea appliance is custom fitted to the patient’s teeth, jaws, and mouth. The appliance guides the lower jaw forward, opening the seal that commonly occurs between the tissues in the back of the mouth and upper airway. This allows a natural airflow to take place, preventing respiratory blockage during your sleep. We want our patients to know that most people see results during the very first night! 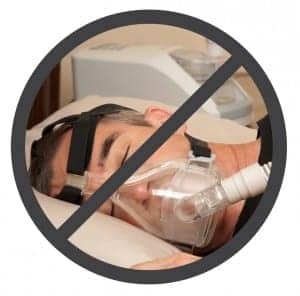 Can I Really Eliminate My Use of a CPAP Machine? Yes! 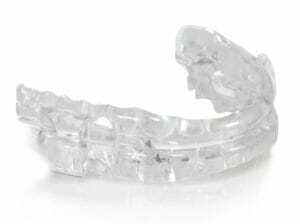 Many of our patients find an oral sleep apnea device extremely effective at helping them breathe at night. We recommend the MicrO₂® Sleep and Snore Device for patients that have been diagnosed with sleep apnea and told that it was an option for their treatment. Why bother suffering each night by wearing bulky CPAP equipment, when you can comfortably rest with a small oral appliance?